The famed Notre Dam has been engulfed in a massive fire. 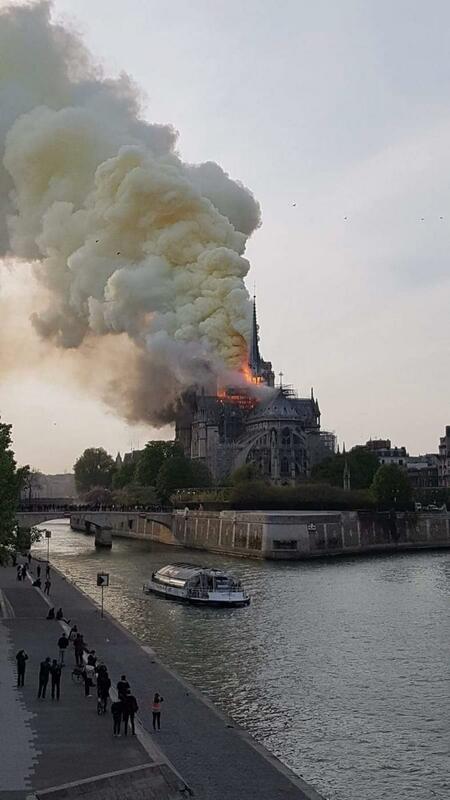 Paris mayor Anne Hidalgo via Twitter: "A terrible fire is underway at Notre Dame Cathedral in Paris. The fire brigade are trying to control the fire. We are mobilized locally in close connection with church authorities. I ask everyone to respect the security perimeter." Some truly heart-breaking photos here. Edited by Jackerbie, 15 April 2019 - 10:01 AM. A deleted tweet by American politician and journalist (Time Mag) Christopher J. Hale stated that a Jesuit acquaintance on the scene told him the fire was deliberately set. Hale later added that that’s an unsubstantiated rumour. The cathedral has been undergoing significant renovations. 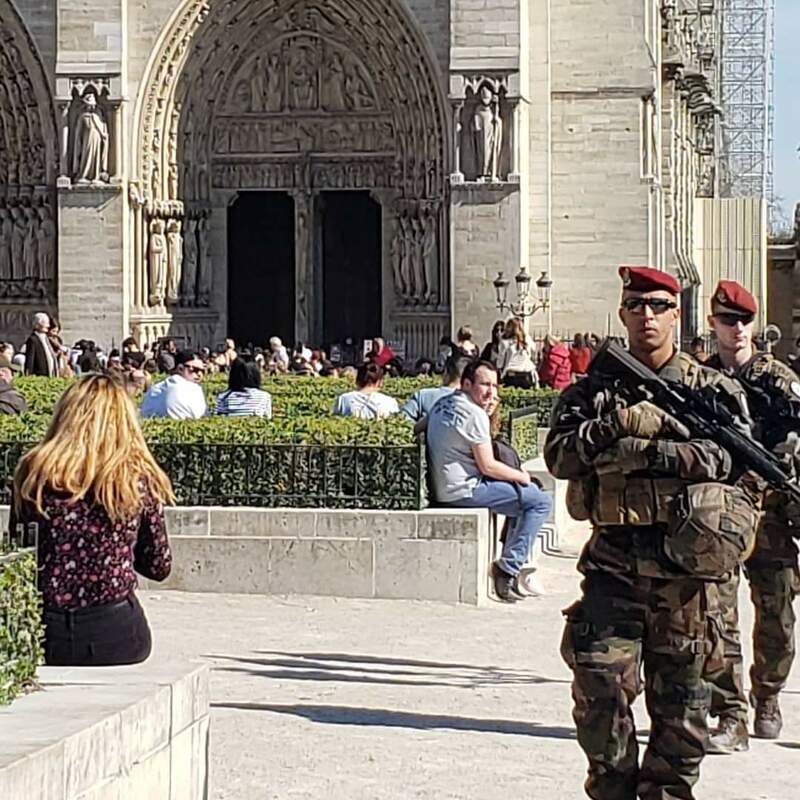 'France has seen a spate of attacks against Catholic churches since the start of the year, vandalism that has included arson and desecration. I'm afraid Coulter's law is in effect. The longer we have to wait to hear a cause the more likely it was Muslims. There are plenty of ways the cathedral could have caught fire considering the renovation work that was underway on the roof, which is where the fire started. Renovations of old structures can easily lead to an inferno when hot objects touch old, super dry materials. One thing is for sure, this won't help ease any tensions in Paris. The entire world is losing a monument of civilization. ...The entire world is losing a monument of civilization. This is why I am so saddened. Even if re-built, nothing can replace 9 centuries of history. Here' a photo we took March 30. Lots of security. Notre Dame and it's many artworks and artifacts (the entire place is a piece of art) is literally priceless. I can't believe it's likely destroyed. It survived the French Revolution and two world wars that almost destroyed Europe. What a shame. I visited in 2003. It was being partially renovated then, too. French fire-fighters say the main structure has been saved, but the damage is substantial. Edited by Mattjvd, 15 April 2019 - 01:41 PM. & not the gilets jaunes? they're the ones who have been causing problems recently. maybe this is just another plan bleu job.